If you want your daily life full of peace, happiness and joy, then keep reading. The modern world and media can make it seem like unless your life is filled with ‘"stuff" you can never be happy. In fact, true happiness and simplicity can be found in every moment. 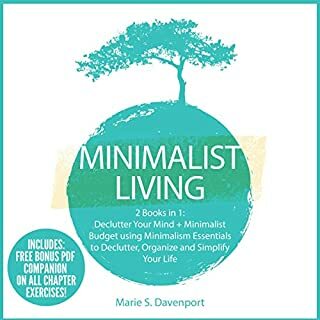 Hygge and Minimalism and Decluttering will show you exactly how to do that. Hygge is a lifestyle that comes from Denmark (The happiest country in the world I thought I'd mention) that, in essence, means creating a warm atmosphere and enjoying the good things in life with good people. 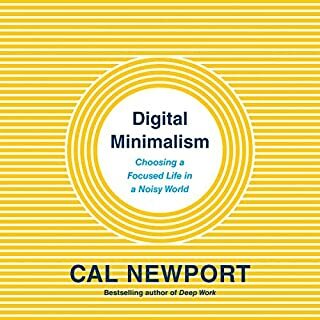 And Minimalism is actually about a reassessment of your priorities, so you can strip away the excess stuff that doesn’t actually provide value to your life. Think you have to get rid of everything to be a minimalist? Think again! 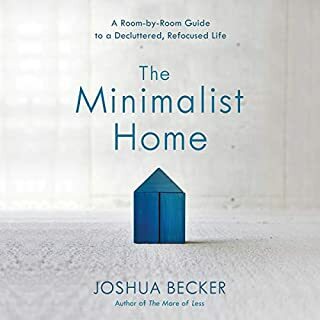 If you believe that you can’t be a minimalist without giving up all your possessions, and if you think hygge is just for winter, this audiobook will show you exactly how wrong you are. So, if you want a life consisting of inner peace, happiness, and full of joy, then listen today! I found this book to be informative and inspiring. I am ready to take on my clutter and make my home more organized and cozy. Didn't know what to expect when I bought this book. This book is on steroids which gave me a lot to think about adding balance to my life. My life now is simplier and happier. Thanks to Alexandra for this book. Excellent narration, thought process and message! This book is a great opportunity to contemplate what is important in life and re-evaluate priorities. I would highly recommend it. My Mum asked me the other day what Hygge was, because she’d read about it in our local newspaper. I spent 10 minutes discussing it with her, and she loves the idea! I’ll definitely send her this book. You don’t need to buy anything or add anything to your home to embrace Hygge. Instead, it’s about creating a home you can feel present in rather than distracted and stressed in by piles of clutter. A home where you are happy to slow down, relax and enjoy the simple and cozy moments of life. Hygge and minimalism – a wonderful pair for an intentional life! This book is a must!!! Getting rid of the clutter now and creating a space that is inviting and easy to enjoy the present moment in. When you put a minimalist spin on bringing more Hygge into your home and life, it becomes less about what “stuff” you need to add, and more about creating ambiance and a space you can enjoy. 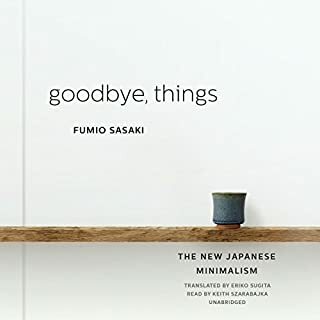 I am so hype I learned that from this audio book. Immediately changed my goals and perspective towards creating a home and space I love. 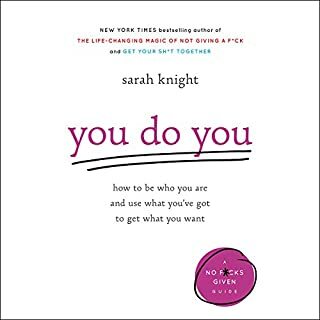 This book taught me about being intentional with your space and filling it with things you love or use. This was a brief, yet useful introduction. I’m always trying to arrange my living spaces to promote a comforting mood, so this information will be put to hood use. This was very interesting and a relaxing book. I enjoyed the authors simplistic writing and will apply what I learned immediately. Thank you. This is a wonderful cute little book. Easy to read, it gets straight to the point. Can wait to use this as a guide for my life of happiness. 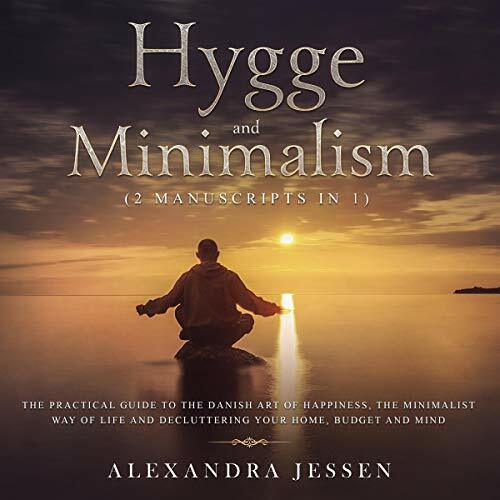 "If you are interested in the concept of ""hygge"" and ""minimalism"" you will love this book! 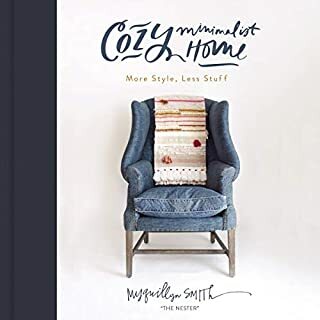 It's an easy read, very informative, includes happiness data and research, and provides ideas for incorporating hygge and minimalism into your life in a well balanced way." Very thought provoking. Looking forward to creating more hygge in my own home! Topic is important but not too heavy, and Author keeps good sense of humor. If you’re interested in truly bettering your life, skip any self help book and head to this short epitaph. Nothing I️ have read before or since helped me put me in a happy state of mind! This book is a quick listen with interesting ideas about increasing the level of perceived happiness in life. I would love to live in a genuine happy lifestyle in simple way. Just how this book described my idea of lifestyle. This book has given a bunch of good points that will surely make you see what kind of life that is.